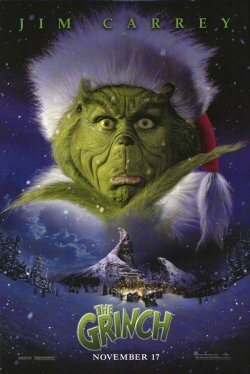 "How The Grinch Stole Christmas" is about a grumpy grinch, played by Jim Carrey, and his dog, Max, played by, well, a dog, who terrorize a small town, Who-ville, by stealing their property (Christmas gifts) and sabotaging their Christmas. 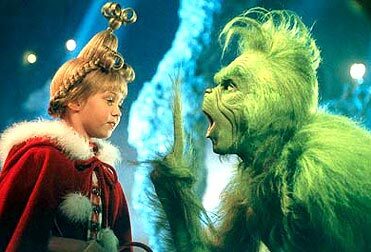 A little girl, Cindy Lou Who, shows him kindness and melts his cold heart. 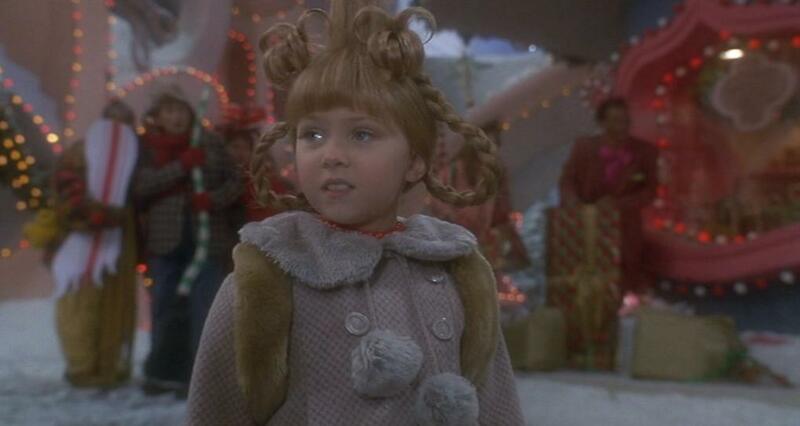 Girl, call HRS or DCF on them for making you up like this!